Got your Samsung Galaxy Note 7? Claim your free gift! 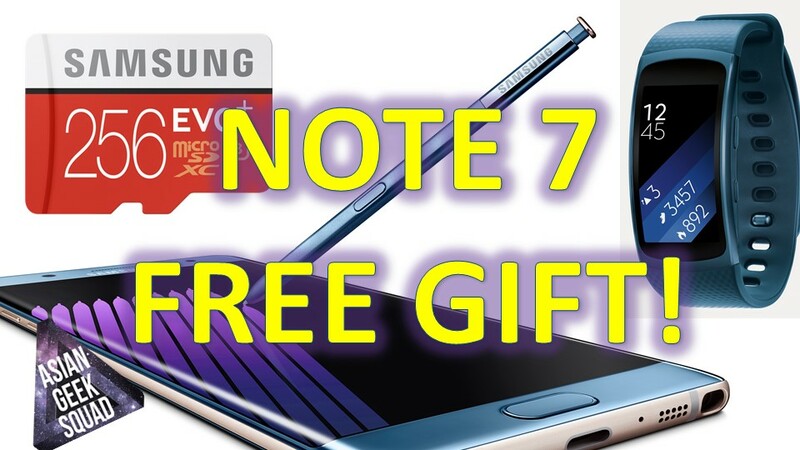 You are at:Home»BUZZ»Got your Samsung Galaxy Note 7? Claim your free gift! For those of you who have pre-ordered the Samsung Galaxy Note 7, it will be arriving to your doorstep today! While you are setting up and customizing your Note 7 to your liking, don’t forget to claim your free gift. You will have the option for a Gear Fit 2, a 256GB EVO+ microSDXC card, and if you pre-ordered with T-Mobile, you will have the extra option of 12 months of Netflix. If you are looking for the best deal, the 256GB microSD card has a retail of $249.99, then the Gear Fit 2 which will set you back $179.99 – though there are occasional sales for $149.99, and finally the most affordable of the three, the 12 months of Netflix. Which one did you end up claiming? Tweet us @AsianGeekSquad!